It’s not unusual at all for us to hear on the Low Carb Zen Facebook page from people who don’t have the time, energy or inclination to cook. “What can I do to make it easy?” they ask us. Or from people who travel a lot, or work two jobs…or just have circumstances that make it more challenging to low carb. It’s a tough question! It’s very hard to follow this way of eating without cooking. You need real, unprocessed food–and the right food, too. Use the code LowCarbZen25 to get 25% off your first week’s order. That’s one of the reasons I was intrigued when offered the opportunity to sample some premade Diet-to-Go meals. The first couple of meals, I was too impatient to put it on a plate. Ha! I was excited to get the huge, styrofoam container of Diet-to-Go meals. They definitely looked fresh, having been overnighted to me via FedEx. Bonus: This thing is filled with reusable ice packs, too. Between the cooler–comparable to disposable coolers sold at the grocery store–and the ice packs, I’m ready for some summertime fun! It was also fun, since the meals I got were a surprise. I like surprises. Ha! The meals are individually packaged in thick, plastic bags, with cardboard outer sleeves that include the meal description, day to eat it from the menu planning (which I utterly ignored), ingredients and nutritional info. Some meal carb counts were a little higher and some a little lower, but the range of net carbs would fit pretty easily into an Atkins plan at the Ongoing Weight Loss (OWL) stage. The menu planning is aiming for 30 net carbs a day, so we’re in that ballpark. Some were lower fat and some were higher fat. Basically, you remove the packaging and put it in the microwave 2-3 minutes. You could eat it straight out of the black tray, but I found I preferred putting it on a plate. It made it look more like a “real meal” and sometimes the veggies had a bit more liquid that I wanted straight out of the microwave. Putting it on a plate alleviated that. A quick glance of the ingredients made it clear, these meals overwhelmingly feature normal, real-food ingredients. Of the six meals I tested, only the hamburger patty had an unspecific “natural flavorings” and dextrose listed. Taste-wise, it also reminded me more of a salisbury steak or a school lunch hamburger than a normal, make-it-at-home type hamburger. But I still liked it. I had no problem requesting meals without Gluten. Diet-to-Go doesn’t currently offer certified gluten-free options, so it would not be a safe choice for someone with Celiac’s disease. But for someone who is merely gluten-sensitive/intolerant, the food would work well. Diet-to-Go does allow substitutions from the predetermined menu, so you have options if there is something you cannot eat or just don’t like. How do the Diet-to-Go Meals taste? The big question, huh? In short, pretty darned good! The Diet-to-Go food all tasted very fresh and was lightly seasoned, so some may want to add additional seasoning. The vegetables tasted steamed. The Diet-to-Go meals were definitely a cut above frozen meals you buy in the grocery store and I preferred them to the Atkins frozen meals I’ve tried. I also found the food very filling. I didn’t need to supplement it with side dishes to feel full. I am not a super picky eater, but I definitely liked everything I got. I was surprised, though, my favorite of all the ones I tried was the Spinach Quiche. I would have guessed the Pesto chicken, but no. Spinach Quiche was extra delicious! Who Would Benefit Most From Diet-to-Go Meals? Diet-to-Go meals would most useful to low carbers on an Atkins’ style plan, post-induction who wanted the convenience of pre-made meals. Diet-to-Go meals would also be great for people who travel frequently, but still have access to a small fridge and microwave. Diet-to-Go meals would make great work lunches, especially. For people that eat much differently from others in the household, or who simply cannot or do not cook for whatever the reason, Diet-to-Go meals offer a solution. For people who track, having the nutritional content right there on the label makes counting carbs and other macros super-simple. To try out Diet-to-Go out for yourself, use the Diet-to-Go Coupon Code LowCarbZen25 to get 25% off your first week. Yay! I’m especially excited to be able to offer you this giveaway, courtesy of Diet-to-Go. 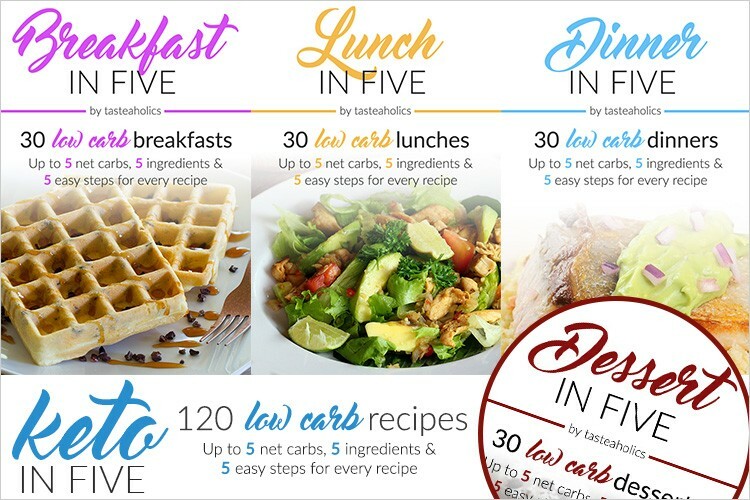 You can also enter to win 5 days of Diet-to-Go Atkins’ friendly low carb lunches and dinners right here. As you can see, they are better picture takers than I am. a Rafflecopter giveawayApproximate retail value (including shipping) is $139. Sorry international folks. I love you too, but this prize is only available to the continental US, where Diet-to-Go ships. You can enter up to once daily if you’re intent on maximizing your chances of winning. I want to win would jump start my weight loss can’t afford to pay for it. If I had money I would. Sounds great. Perfect way to try this service. I need this really bad. My boyfriend is doing everything he can to sabotage my efforts to get healthier. This is something I need to help me with my new way of eating . I have been on the low carb but having a hard time with knowing right things to eat . This would be a great jump start . I’m hoping to win the meals. It would help in my weight loss quest. Going to work out after work & coming home late leaves little time for cooking.